Leading Indian tyre manufacturer CEAT Ltd today kicked off a road safety awareness drive in association with Yamaha FZ & Fazer owner’s group in Mumbai. The occasion was marked by the unveiling of CEAT’s Motorcycle Radial Tyres, which is now OEM fitment on Yamaha FZ. The riders shall do a 7 day drive from Mumbai to Delhi and back spreading road sense and safety awareness along the way. The Yamaha FZ and Fazer riders shall ride on newly launched CEAT radial tyres and cover more than 2000 kms across varying terrain. CEAT Motorcycle radial tyres built with special features like excellent cornering on higher speeds and low fuel consumption will keep the riders’ in good stead over this long journey. 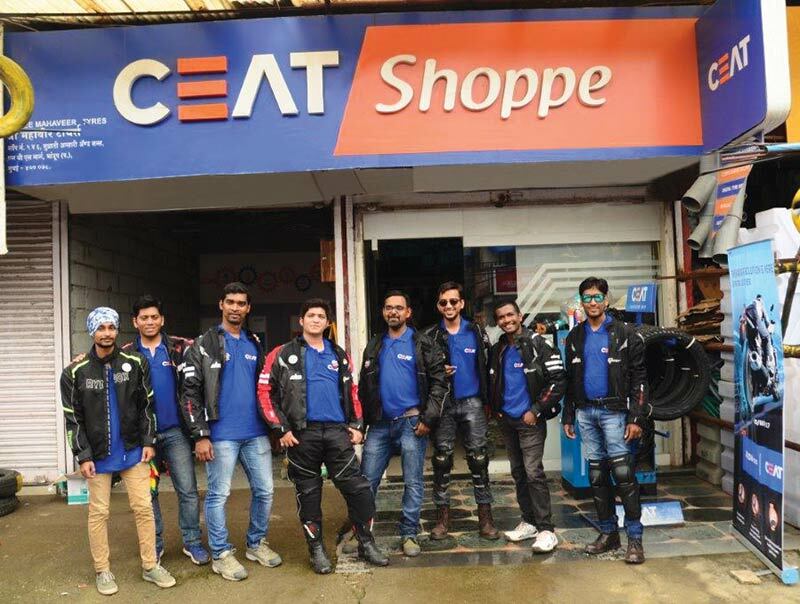 CEAT and the riders shall also conduct Road Safety activations in CEAT Shoppes across 5 cities and will convey the do’s and don’ts of Bike riding to various biking communities in each city. The journey will also entail awareness activities across Surat, Jaipur, Delhi and Agra with various biking communities. Being a safety conscious brand, we at CEAT feel that adherence of road safety norms and rules are of prime importance and this is often neglected in our country. Also we are constantly trying to innovate with new products that enhance the driving experience and the safety of CEAT users. Our MC Radial Tyres offer to our customer a safe, enjoyable and comfortable driving experience. We are confident that our latest offering will be received well by the biking community and will provide high performance and safer biking experience to the discerning Indian riders.